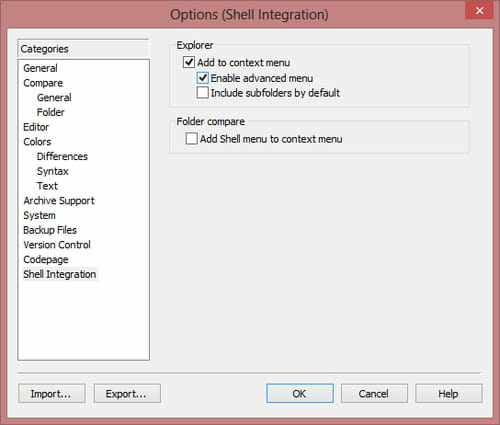 Go to the Shell Integration Category and check "Add to context menu". You can also include the "Folder compare" options to the context menu! This document, titled "WinMerge - Add to Windows context menu," is available under the Creative Commons license. Any copy, reuse, or modification of the content should be sufficiently credited to CCM (https://ccm.net/).